The use of email among B2C content marketers has continued to grow. According to Salesforce’s 4th Annual State of Marketing report, email marketing among B2C marketers grew by 106 percent from 2015 to 2017. The vast majority of people use email every day (more than 90 percent, according to McKinsey). Thanks to the presence of smartphones and tablets, people have more opportunity than ever before to check their emails. A 2015 survey from Pew Research Center found that nearly 90 percent of people used their smartphones to check email at least once during the study period. McKinsey’s study also found that email was a more effective way for brands to convert and acquire customers than social media. What Makes a Great Content Marketing Email? Although statistics suggest that email is alive and kicking, there is a vast difference between effective content marketing email and email that gets sent right to the trash. Salesforce’s annual report revealed that there’s huge potential for email to have a major impact, especially when combined with other content marketing channels. But more than half of all marketers aren’t making the best use of email. They’re sending out messages via email that are the same as what a customer might see on social media or through other forms of content marketing. One way to make the most of content marketing email is to fully customize the email to the customer. Analytics and tracking make it easier than ever to know where your customers are clicking and what they are interested in. Instead of sending the same message to each person, creating personalized messages and recommending blog posts, videos, or articles based on an individual’s interests is likely to have a greater impact. Personalization works. Oracle reports that a US grocery store chain saw a 180 percent boost in email-open rate after it adopted a personalized email strategy. What does a great content marketing email look like? Here are a few examples. Invision sends out a weekly email newsletter that highlights the “best of” articles and blog posts published that week, complete with witty text on the clickable buttons. The app doesn’t just promote its own content, though. It also includes a few links at the bottom to “best of the web” articles on design, as well as links to gigs and job openings. Talk about personalization. 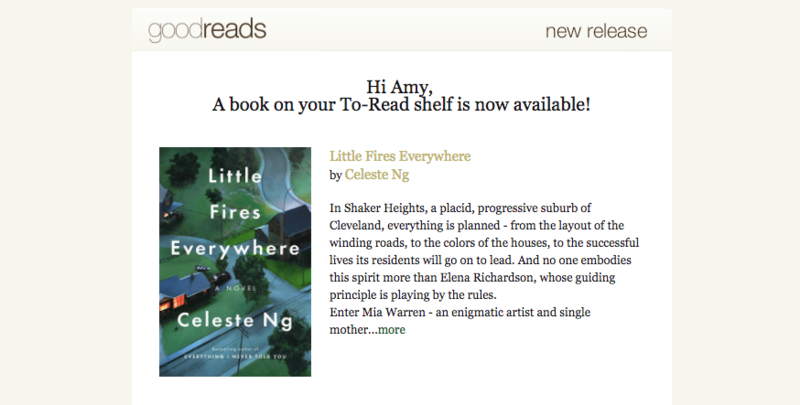 GoodReads regularly sends out emails to people based on books they’ve read or books they want to read. The emails make recommendations or inform readers about new releases from past favorite authors. For example, it sent out this email when a new book was released that someone had saved to a “to read” shelf on the app. What better way to promote a new book than to send out an email with pull quotes from favorite authors? The content marketing email from Catapult doesn’t just promote a new release — it also offers an incentive (20 percent off and signed copies) and gives the reader details on upcoming book signings. What can your brand do to make email a key part of your content marketing strategy, or to integrate email marketing into your content marketing? Paying attention to what has worked for other brands helps, as does following these tips. When it comes to content marketing email, quality is more important than quantity. As Salesforce notes, you can’t just send the same message to thousands of people and hope some of them click through. Personalization will take you far. Some headlines work better than others as subject lines. Try sending out two identical messages with different headlines to gauge which one has the better open rate. It helps not to be too promotional with your emails. The goal of content marketing is to provide useful information to your audience, not to push or blatantly promote your brand. One way to do that is to curate content and recommend it to your readers. They’ll think that you’re looking out for their best interests, and will be more likely to check you out. No one wants to think, “Ahhh, where do I click?” when reading an email. If you don’t have a clear call to action for each piece of content you link to, your email is likely to get deleted without a single click-through.